1. What are my payment options on Leather Madness? 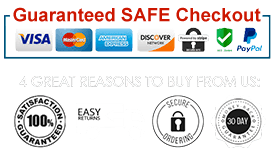 You can pay for your order securely using your PayPal, Visa, MasterCard, American Express and Discovery credit cards. 2. Can I change my order after I have paid for it? Making changes to your order can be facilitated if you contact us within 24 hours of placing your order. 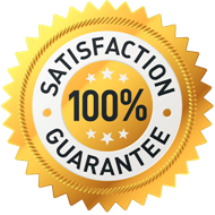 We have systems in place to expedite the order process; once the order is placed it is forwarded to the warehouse or the factory. But we understand that people change their minds, let us know as soon as possible by email to support@leathermadness.com or through contact form. 3. Do you ship orders overseas? Pakistan, Hong Kong, Japan, Czech Republic, Russia, Afghanistan, Iran, Iraq, PO Boxes are countries we do not ship to. For complete list of countries where we ship and other policies please visit Shipping & Returns policy page. 4. Is Leather Madness online ordering process secure? Of course! 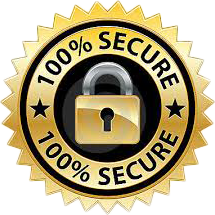 We ensure to protect our customers from identity theft, we use PayPal which has Secure Socket Layer (SSL) utilizing 256 bit encryption. 5. How long do deliveries take? It usually takes 7-8 business days for your orders to be delivered. But most of the time orders are delivered way before this time. We will provide you will a tracking number from the courier so that you can track the order yourself; this is for your piece of mind. You can track your order using this page. 6. Why do I need to register? To help us assist you better and to advise you of future promotions. Please register as a customer on our website. You can do that by signing up at the time when you are placing order for the first time. You can always login to your account from this link. 7. Who is responsible for customs duty and taxes? When we dispatch your jacket, we declare it as a gift with a value ranging from US $ 10 – 20. So that you do not get assessed any duty or tax. Unfortunately every now and then one of our jackets get selected for a random search and the customs officials sometimes assess a fee. As per the regulations governing international trade the customer is ultimately responsible for all duties and taxes levied on any goods they have ordered. 8. How to Return or Exchange your order? We have a very flexible return and exchange process. You can read more about our Return and Exchange policies here. Please do contact us as well for your returns and exchanges. 9. What to do if I have a Business or Bulk Order related Query? We will be glad to cater your business needs or any other custom requirements. You just have to contact us and our support team will guide you from there. 10. How to Contact our Sales & Support Team? You can contact us using your contact Form or by directly sending us the email(s) on support@leathermadness.com. We also have an online Customer Chat service available so you can ask your queries immediately.